Radio NZ reports the government is considering permanent legislation to deal with natural disasters. While the Canterbury Earthquake Response and Recovery Act has been criticised for overriding existing laws, Civil Defence Minister John Carter says it’s already proving its worth. And Mr Carter says the Government is considering whether new legislation is needed to deal with disasters, rather than having to rush through emergency laws, as has happened after the earthquake. The Canterbury Earthquake Response and Recovery Act was passed without dissent but has attracted a lot of criticism since then because of its all encompassing nature and the power it gives to the Minister. Legislation made with public input and careful consideration will almost always be better than that made on the hoof. Soligenous – produced by the sun. It would be tempting to enjoy watching Labour explain the logic of taking 15% off the price of pomegranates while leaving it on frozen peas. It could be fun listening to the party try to explain how a 15% reduction in the price of out-of-season asparagus will help the poor without giving a bigger benefit to the rich. It might be amusing it to see them attempt to justify removing GST from pineapple and pawpaw but not from milk or meat, bread or fish. And I could laugh laugh when people start asking what’s the benefit of a policy which increases compliance costs, sabotages the simplicity of our GST system and does nothing at all to address the real problems facing individuals and the economy. Except this is serious. Reducing GST on fresh fruit of vegetables is a shameless con and shows labour has no grand economic plan. Good tax is an oxymoron but simple taxes are better and our GST has been simple from the start. Phil Goff knows this because he was one of those who helped the 1984-87 Labour government develop it and sell it. The arguments for keeping it simple which made sense then still make sense today. It’s not just that tinkering by making minor exemptions increases costs which are not matched by significant savings. It’s that as Kiwiblog points out, it’s the start of a slippery slope. If GST comes off raw peas, why not frozen peas which may be more nutirious? If it comes off some food, why not health and education goods and services? Once you start, where do you stop? The estimated $250 million cost of the new policy would have to be paid for by extra borrowing, pushing up already fast-rising public debt. “However it’s good to see Labour confirming they would leave GST at 15 per cent on all other goods and services – they now realise that the vast majority of Kiwis will be better off from the Government’s income tax-GST switch,” Mr English says. “But their politically desperate move to remove GST from fresh fruit and vegetables would needlessly complicate the tax system, increase compliance costs and create all sorts of perverse anomalies. The $250 million annual cost of the move, divided among all New Zealanders, is worth, on average, just over $1 a week – less for low income earners and more for high income earners. The Tax Working Group last year concluded that removing GST from food would make almost no difference to the distribution of tax across income levels, but would lose 20 per cent of GST revenue. This would have to be made up by increasing other taxes. “Labour’s policy makes no sense and smacks of political desperation,” Mr English says. “Phil Goff must explain to New Zealanders why he is removing GST from imported, out-of-season raspberries and asparagus, but not from New Zealand frozen peas, which are a nutritious part of many Kiwi meals. “People would be able to buy GST-free potatoes, take them home and make deep-fried chips. But at the same time, healthy foods like Weetbix, low-fat milk and wholegrain bread would be subject to GST. “Setting those boundaries will introduce considerable administrative and compliance costs for Government and retailers, legal uncertainty, and opportunities to game the system. “The experience from other countries with these sorts of policies is of protracted legal disputes and hundreds of pages of rules to determine where exactly the boundaries lie. “Labour needs to answer these kinds of questions – and explain how it would pay for this muddled policy,” Mr English says. The party might also want to explain how complicating the tax system will lead to the economic growth which is what will benefit all New Zealanders most. The report on the latest political poll says, as most do assumes that the Progressive Party will hold a seat in the next parliament. Unless Jim Anderton loses his bid to be mayor of Christchurch and then reneges on his promise to resign from parliament at the end of this parliamentary term, there won’t be a Progressive Party after the next election. It hasn’t been a real party for years, it’s just a one man vanity vehicle and when he goes it will go too. Whole rump, aged for tenderness, the blurb on the vacuum pack said. It was selling for just $62.49 or just $10.99 a kilo. That was cheaper than the mince beside it in the chiller. I hope the supermarket was selling the meat as a loss leader, accepting a far lower price than it paid for it to encourage shoppers to buy more. If not that bargain for customers is very bad news for farmers. 489 Odoacer attacked Theodoric at the Battle of Verona, and was defeated again. 1331 The Battle of Płowce between the Kingdom of Poland and the Teutonic Order was fought. 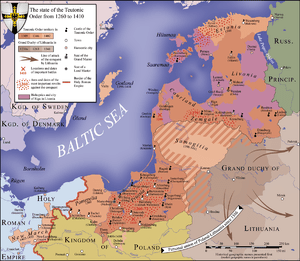 1422 The Teutonic Knights signed the Treaty of Melno with the Kingdom of Poland and Grand Duchy of Lithuania. 1540 The Society of Jesus (the Jesuits) received its charter from Pope Paul III. 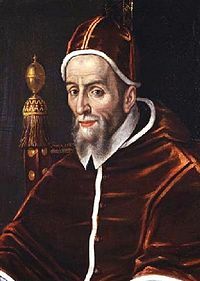 1590 Pope Urban VII died 13 days after being chosen as the Pope, making his reign the shortest papacy in history. 1605 The armies of Sweden were defeated by the Polish–Lithuanian Commonwealth in the Battle of Kircholm. 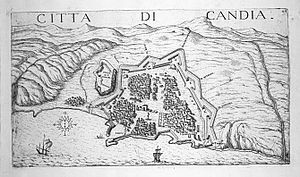 1669 The Venetians surrender the fortress of Candia to the Ottomans, ending the 21-year long Siege of Candia. 1821 Mexico gained its independence from Spain. 1822 Jean-François Champollion announced that he had deciphered the Rosetta stone. 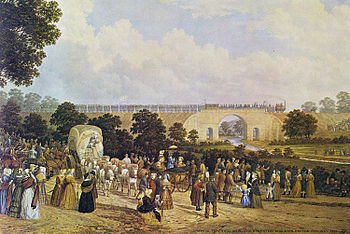 1825 The Stockton and Darlington Railway opened, and begins operation of the world’s first service of locomotive-hauled passenger trains. 1854 The steamship SS Arctic sank with 300 people on board. This marks the first great disaster in the Atlantic Ocean. 1905 The physics journal Annalen der Physik published Albert Einstein‘s paper “Does the Inertia of a Body Depend Upon Its Energy Content?”, introducing the equation E=mc². 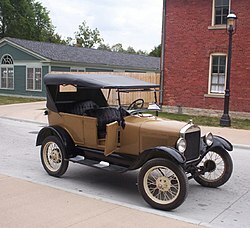 1908 The first production of the Ford Model T car was built at the Piquette Plant in Detroit, Michigan. 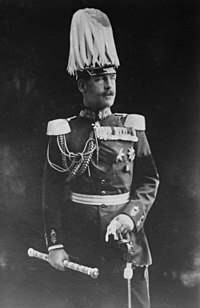 1916 Iyasu was deposed as ruler of Ethiopia in a palace coup in favor of his aunt Zauditu. 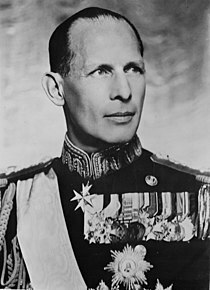 1922 King Constantine I of Greece abdicated his throne in favor of his eldest son, King George II. 1930 Bobby Jones won the U.S. Amateur Championship to complete the Grand Slam of gol -the U.S. Open, British Open, U.S. Amateur, and British Amateur. 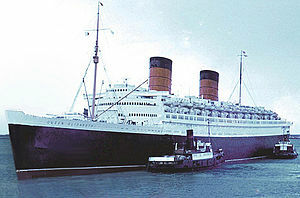 1938 Ocean liner Queen Elizabeth launched in Glasgow. 1940 World War II: The Tripartite Pact was signed in Berlin by Germany, Japan and Italy. 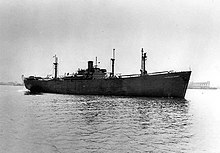 1941 The SS Patrick Henry was launched becoming the first of more than 2,700 Liberty ships. 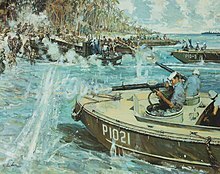 1942 Last day of the September Matanikau action on Guadalcanal as United States Marine Corps barely escaped after being surrounded by Japanese forces. 1942 – Alvin Stardust, English singer, was born. 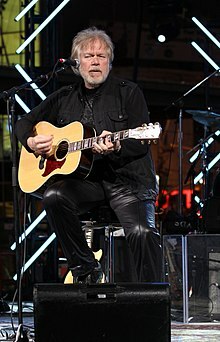 1943 Randy Bachman, Canadian musician, was born. 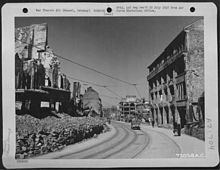 1944 The Kassel Mission resulted in the largest loss by a USAAF group on any mission in World War II. 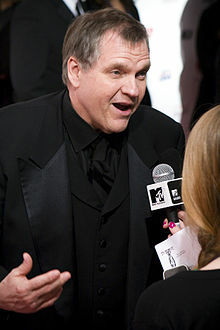 1947 Meat Loaf, ( Michael Lee Aday)American singer, was born. 1948 Michele Dotrice, English actress, was born. 1949 The first Plenary Session of the National People’s Congress approved the design of the Flag of the People’s Republic of China. 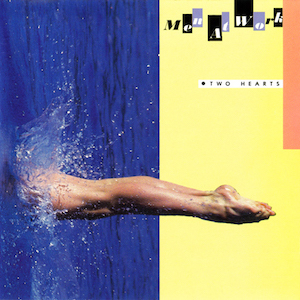 1953 Greg Ham, Australian musician and songwriter (Men at Work), was born. 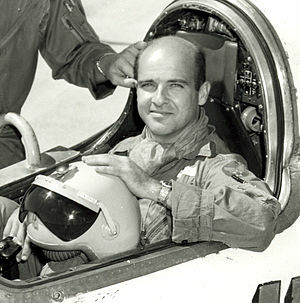 1956 USAF Captain Milburn G. Apt became the first man to exceed Mach 3 while flying the Bell X-2. 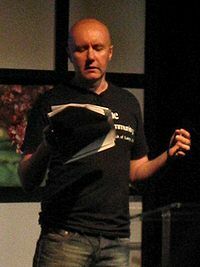 1958 Socttish author Irvine Welsh was born. 1959 Nearly 5000 people died on the main Japanese island of Honshū as the result of a typhoon. 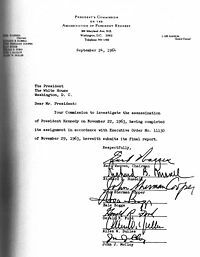 1964 The Warren Commission released its report, concluding that Lee Harvey Oswald, acting alone, assassinated President John F. Kennedy. 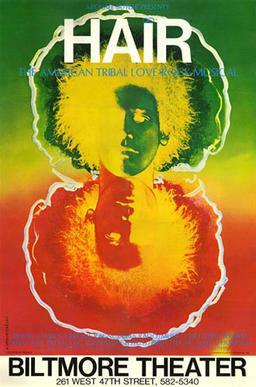 1968 – The stage musical Hair opened at the Shaftesbury Theatre in London. 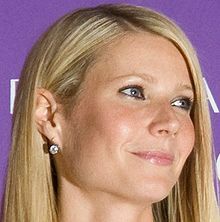 1972 Gwyneth Paltrow, American actress, was born. 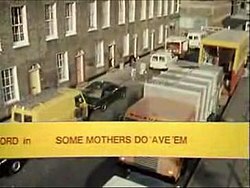 1974 William Sutch was charged with spying. 1977 The 300 metre tall CKVR-TV transmission tower in Barrie, Ontario, was hit by a light aircraft in a fog, causing it to collapse. All aboard the aircraft were killed. 1983 Richard Stallman announced the GNU project to develop a free Unix-like operating system. 1986 Clifford Lee Burton of Metallica died in tour bus accident. 1988 The National League for Democracy, led by Aung San Suu Kyi was founded. 1993 The Sukhumi massacre in Abkhazia. 1995 The Government of the United States unveiled the first of its redesigned bank notes with the $100 bill featuring a larger portrait of Benjamin Franklin slightly off-centre. 1996 In Afghanistan, the Taliban captured the capital city Kabul after driving out President Burhanuddin Rabbani and executing former leader Mohammad Najibullah. 1996 – The Julie N. tanker skip crashed into the Million Dollar Bridge in Portland, Maine spilling thousands of gallons of oil. 2003 Smart 1 satellite was launched. 2008 CNSA astronaut Zhai Zhigang became the first Chinese person to perform a spacewalk while flying on Shenzhou 7. You are currently browsing the Homepaddock blog archives for the day Monday, September 27th, 2010.